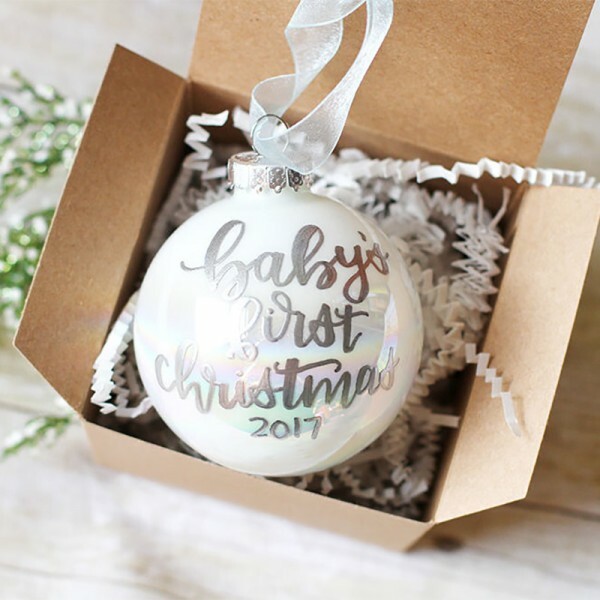 *"FIRST CHRISTMAS 2018" will automatically be written unless otherwise indicated. This listing is for ONE (1) Personalized Christmas ornament. 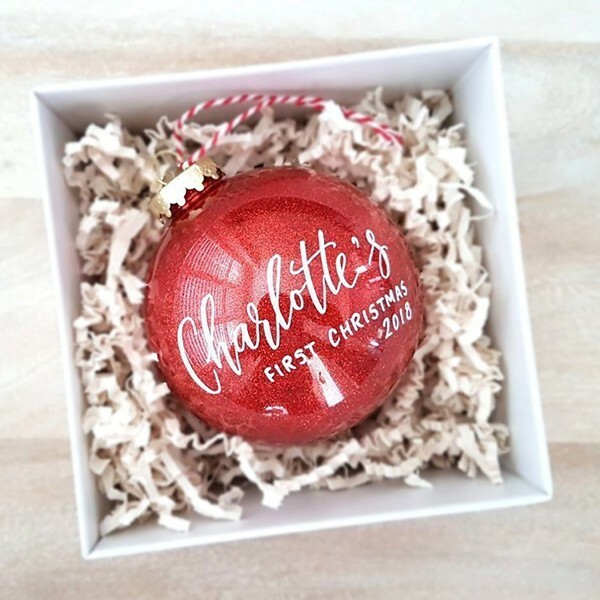 The large ball is 4" in diameter and is a sparkly RED color. It is plastic and shatterproof. The glitter is located inside the ball to avoid a glittery mess. 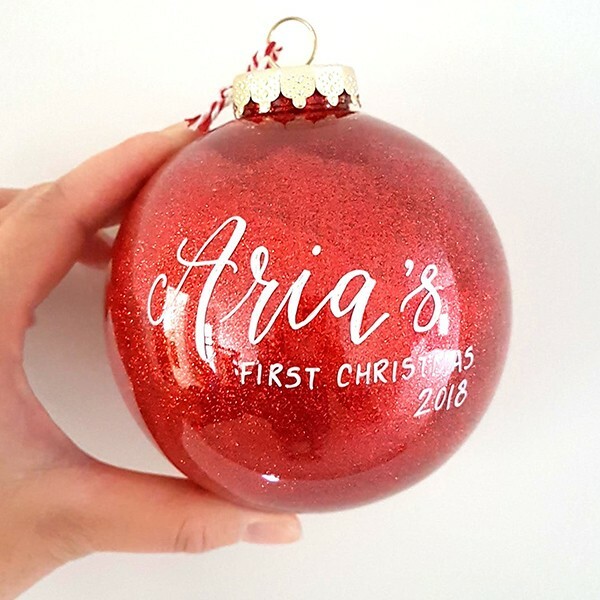 A single name along with "FIRST CHRISTMAS" and the year is hand lettered onto the ball. 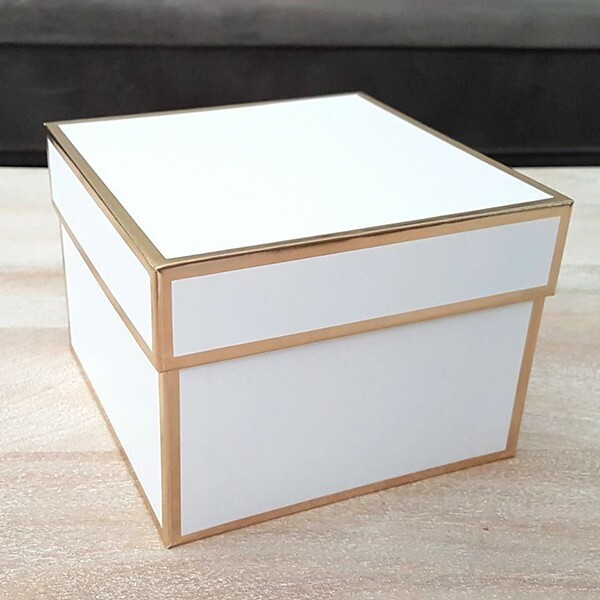 Your choice of WHITE or GOLD ink. 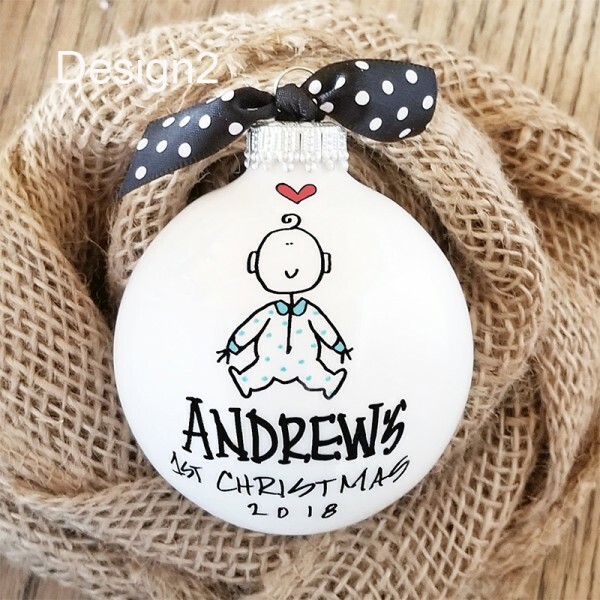 Question about Personalized BABY'S FIRST CHRISTMAS Ornament is Successfully Submitted.